FRANKFURT (Reuters) - BMW on Wednesday said it had agreed to recall a total 232,000 imported and locally produced cars in China and will decide whether further recalls are necessary in other markets. The recall is to see whether the vehicles with six-cylinder petrol engines have screws on a certain component which are prone to breaking and may cause an oil loss, a spokesman said. 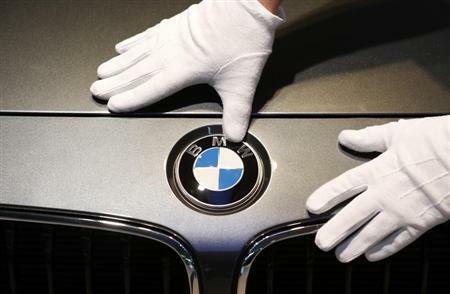 BMW and the Chinese regulator on Wednesday decided a recall was necessary, the spokesman further said. "We are reviewing the situation for other markets," the spokesman said, adding that BMW 1-series, 3-series, 5-series 6-series as well as the off-road variants X1, X3, and X6 are being probed for the fault. Vehicles will be checked starting in June to see if the screws on the casing of the VANOS valve timing system are prone to breaking. If a screw breaks, VANOS may lose oil and a warning lamp will alert owners to seek a garage to prevent engine damage.